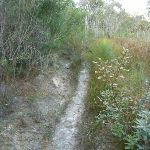 Turn left: From the intersection, this walk follows the narrow track gently downhill (that initially looks like a water course), heading north though scrubby bush. 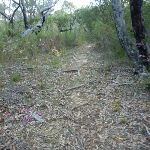 This walk continues to follow the track, passing a large heath clearing after about 500m (on the right). 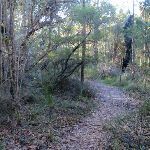 This walk then continues to follow the track, until coming to a three-way intersection at about 430m (with an eroded track leading gently downhill to the left, to Lovetts Pool). 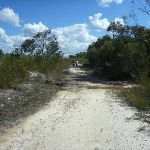 Turn left : From the intersection, this walk follows the eroded track north-west gently downhill. 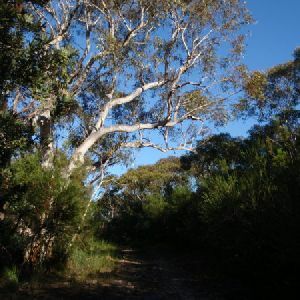 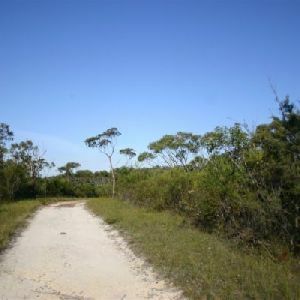 The track leads directly away from the large angophora trees through the dense banksia forest. 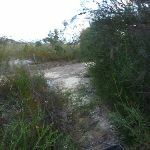 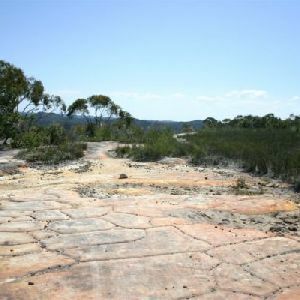 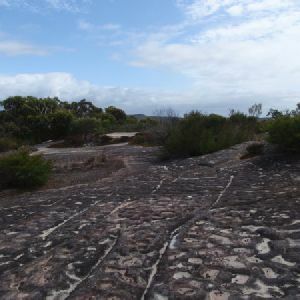 After about 150m, the track leads to a small creek bed on a large sandstone platform. 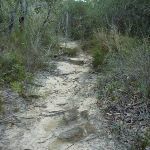 (Another faint track leads further downstream on the south side of the creek and visits the pools). 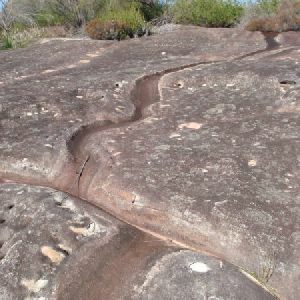 Be aware of the many unfenced and slippery cliff edges. 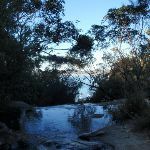 Lovett Pools is the informal name for a lovely set of water holes and cascades at the top of a cliff, above Lovett Bay. 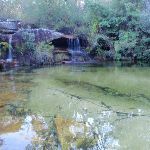 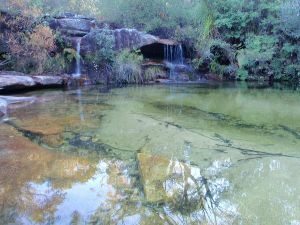 The unnamed creek works its way along a sandstone platform forming a couple of larger pools and a series of cascades. 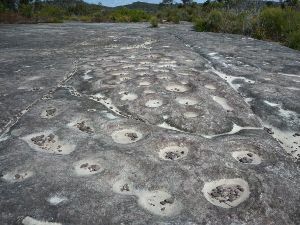 There are also many smaller carved holes in the rock, adding interest for the budding geologists. 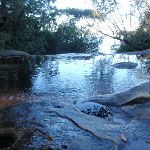 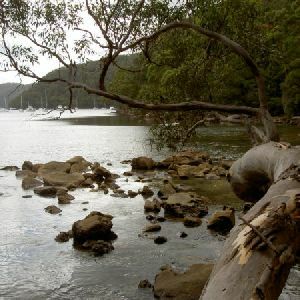 The creek flows over a large cliff forming a tall waterfall just before the Pittwater. 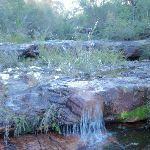 The rocks are slippery and there are many cliff edges, please take care. 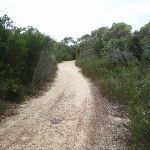 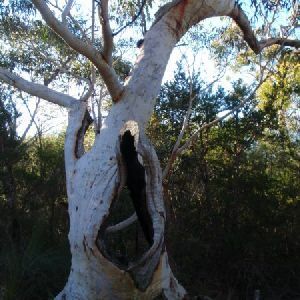 1.1km of this walk follows a rough track, where fallen trees and other obstacles are likely and another 290m follows a clear and well formed track or trail. 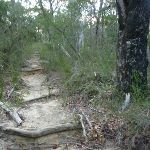 The remaining (170m) follows a formed track, with some branches and other obstacles. 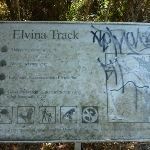 Around 1.2km of this walk has minimal directional signs, whilst the remaining 290m is clearly signposted. 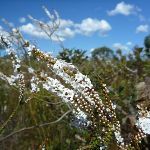 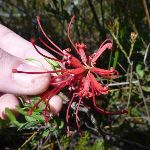 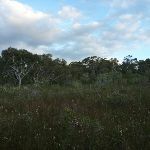 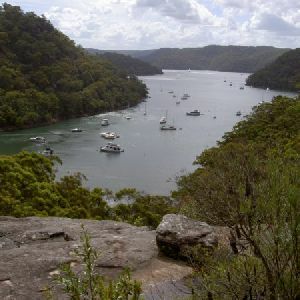 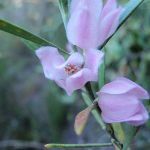 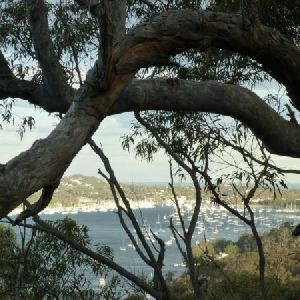 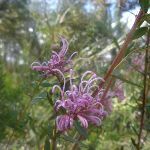 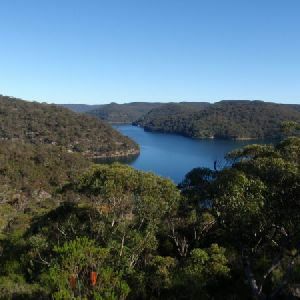 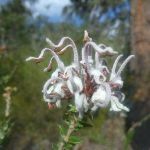 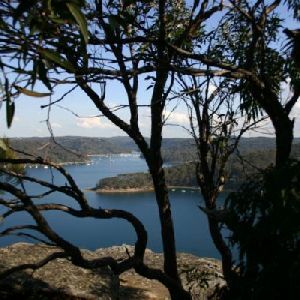 Around 1.2km of this walk requires some bushwalking experience, whilst the remaining 290m requires no previous bushwalking experience. 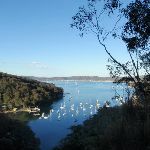 Around 1.4km of this walk is not usually affected by severe weather events (that would unexpectedly impact safety and navigation), whilst the remaining 170m is affected by storms that may impact your navigation and safety. 1.1km of this walk has limited facilities (such as cliffs not fenced, significant creeks not bridged) and another 290m is close to useful facilities (such as fenced cliffs and seats). 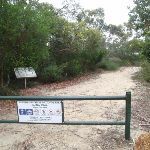 The remaining (170m) has limited facilities (such as not all cliffs fenced). 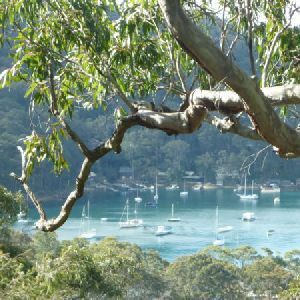 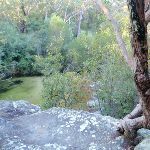 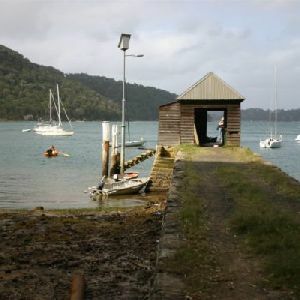 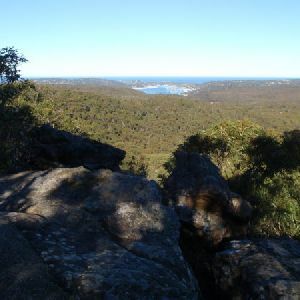 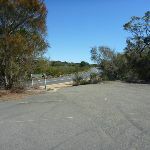 A list of walks that share part of the track with the Lovetts Pools walk. 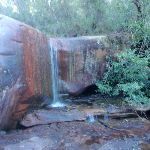 A list of walks that start near the Lovetts Pools walk. 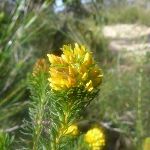 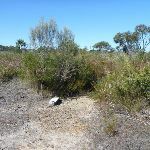 http://new.wildwalks.com/wildwalks_custom/includes/walk_fire_danger.php?walkid=nsw-krgcnp-lp Each park may have its own fire ban, this rating is only valid for today and is based on information from the RFS Please check the RFS Website for more information.